Free Dumb Blonde piano sheet music is provided for you. 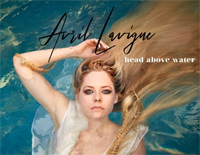 Dumb Blonde is a song recorded by Canadian singer-songwriter Avril Lavigne for her sixth studio album, Head Above Water. "Wish You Were Here" is a song by Franco-Canadian recording artist Avril Lavigne. Download free Wish You Were Here sheet music now! 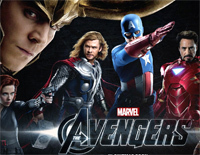 Free Listen piano sheet music is provided for you. 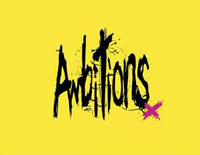 Listen is a song by Japanese rock band ONE OK ROCK and Canadian singer-songwriter Avril Lavigne. Free Alice piano sheet music is provided for you. 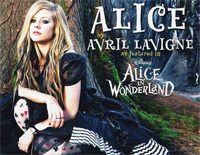 Alice is a song written and performed by Avril Lavigne for Almost Alice, the soundtrack to the 2010 film Alice in Wonderland. Free Nobody's Home piano sheet music is provided for you. Nobody's Home is Avril Lavigne's third single from her second album, Under My Skin. Free I Love You piano sheet music is provided for you. I Love You is a song by French-Canadian singer-songwriter Avril Lavigne from Goodbye Lullaby.